As most readers will know many mass produced vans appear under various brand names but most of them are only actually built by two conglomerates. For example Renault, Vauxhall (Opel) and Nissan van products are all clones of each other and similarly Fiat, Peugeot and Citroen vans originate in the same facilities. However, each manufacturer treats their models personally so the same product doesn’t always get launched on to the market at the same time. Such was the situation this year. Renault usually spearheads launches for the group it is involved with and this year was no exception. It had announced its new mid-range van, the Trafic, a few weeks ago at the Amsterdam CV Show, though Birmingham was our first opportunity to see it in right hand drive form. 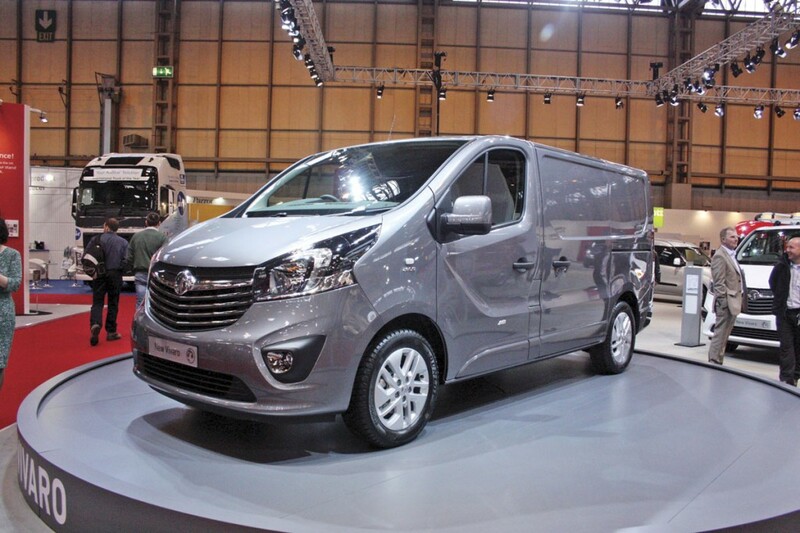 Not surprisingly, Vauxhall chose Birmingham to launch its version, the Vivaro. 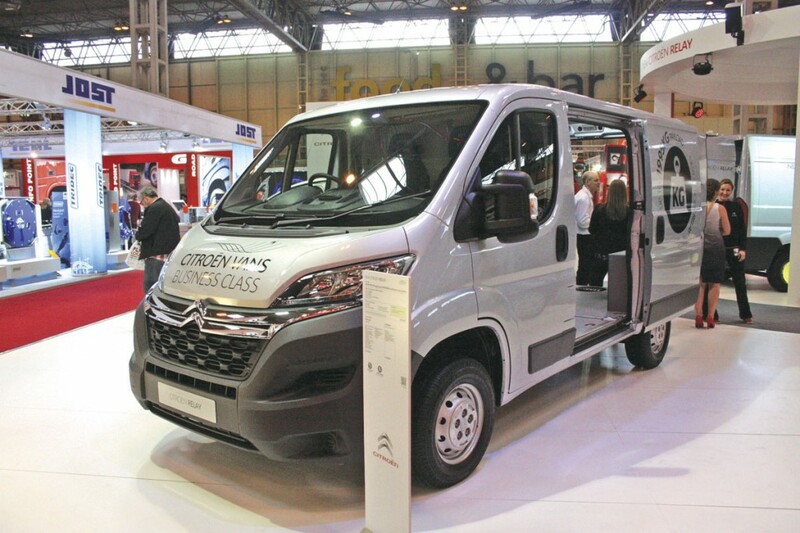 However, rather surprisingly Renault did use the Birmingham Show as a launch pad for its latest new variants of the largest van in its range the Master. Vauxhall also showed its latest versions of their Master clone the Movano. Compared to most of the current vans this does have quite soft styling. Similarly, Citroen introduced a new version of its largest van, the Relay, but Peugeot (Boxer) and Fiat (Ducato) didn’t. One assumes these will appear over the next few weeks and months. 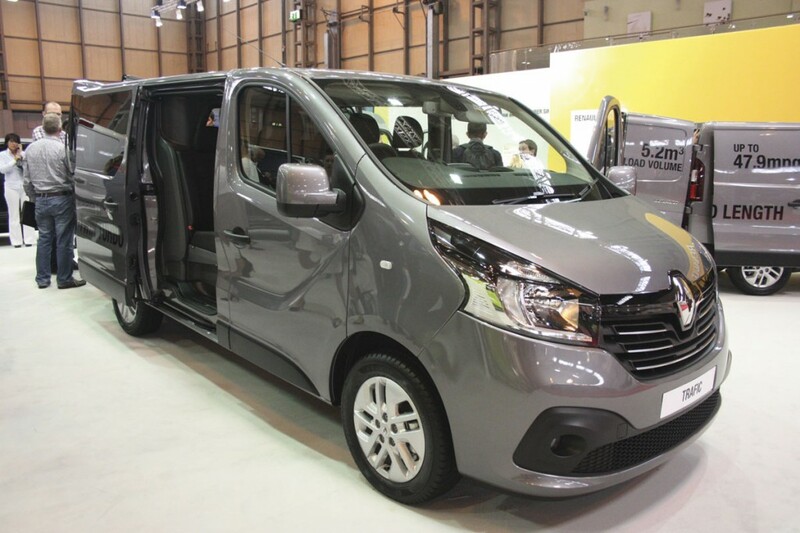 Both Renault and Vauxhall introduced their new rhd mid-range vans, the Trafic and Vivaro respectively, at the CV Show. The new Trafic/Vivaro have been re-styled and upgraded in terms of comfort for the driver and in the range of on-board technologies now available. Most importantly the new models feature new engines. Both are 1.6-litre units with the basic simple turbocharged unit developing either 90 or 115bhp and maximum torque of 260 and 300Nm respectively. The second engine range, designated Energy engines, uses twin turbochargers and develops 120 or 140bhp with impressive torque figures of 320 and 349Nm respectively at 1,500 rpm. The manufacturers claim that the vehicles are capable of achieving 48.9mpg and 149gram/km CO2 emissions and that is without using the optional ‘eco driving’ function. Both engines are to Euro5 but also comply with the requirements of Euro6b. These new engines benefit from Renault’s F1 experience allowing a smaller engine (previously they were 2.0 litre) to develop similar power outputs but with much greater fuel economy. The Energy versions incorporate automatic stop/start and ESM (Electric Smart Management) which provides energy recovery on deceleration. Other features on the vehicle help the economy including low roiling resistance tyres, reduced front brake disc rub and electric power steering. They also have improved nearside mirrors which reduce blind spots. Control systems include ABS, EBD, EBA, HAS, ESP, TC and roll-over mitigation. There are two body lengths available which are importantly 216mm longer than the previous versions. The lengths are 5m and 5.4m and there are two height variants. Typically a Trafic/Vivaro can be used to create an eight-seat minibus though this does depend on the type of seating selected. 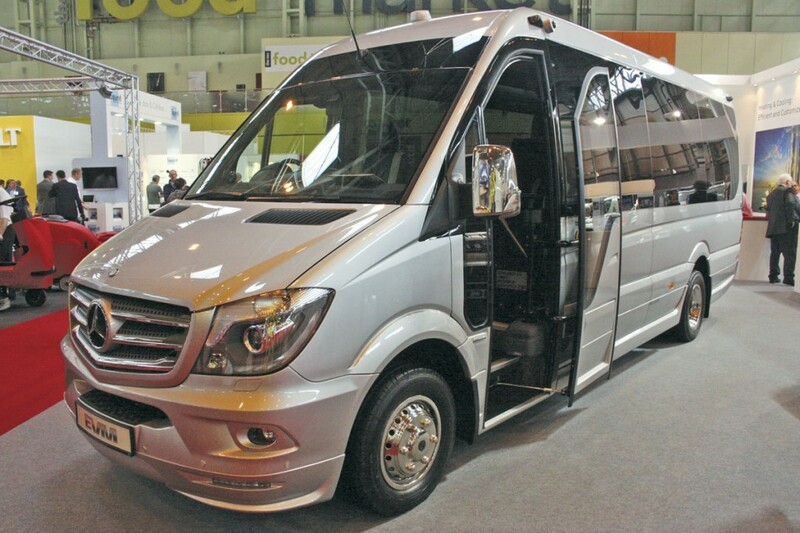 Both manufacturers will be adding factory built minibus versions to their list in due course. The Renault Master is a popular base for conversion into minibuses and has become more popular in recent times with the introduction last year of the version with twin rear wheels. Now Renault has completed its revision of the Master introducing two new engines and a number of safety upgrades. The new 2.3-litre dCI engines produce more power and greater fuel economy. The new engines provide a power span of 110-165bhp, whereas the previous span was 100 to 150bhp. There are four engine versions, the 110 and 125bhp versions using single turbocharging whilst the higher power 135 and 165bhp versions like the engines in the Trafic/Vivaro benefit from twin turbocharging. All engines have enhanced maximum torque figures, generally up by about 10Nm. Renault claim that the 165bhp engine is capable of producing fuel economy of 40mpg. They have also extended the range of models with the introduction of two new van derivatives the L4H2 and L4H3. Most Renault Masters feature front wheel drive but these new variants have rear wheel drive and single rear wheels. New additions to the list of in-built safety features include advanced adaptive load control (ESC), Hill start Assist (HAS) and Grip Xtend which optimises grip in difficult road conditions, typically snow and slush. The new Master also incorporates the revised mirror system as on the Trafic, which reduces nearside blind spots. 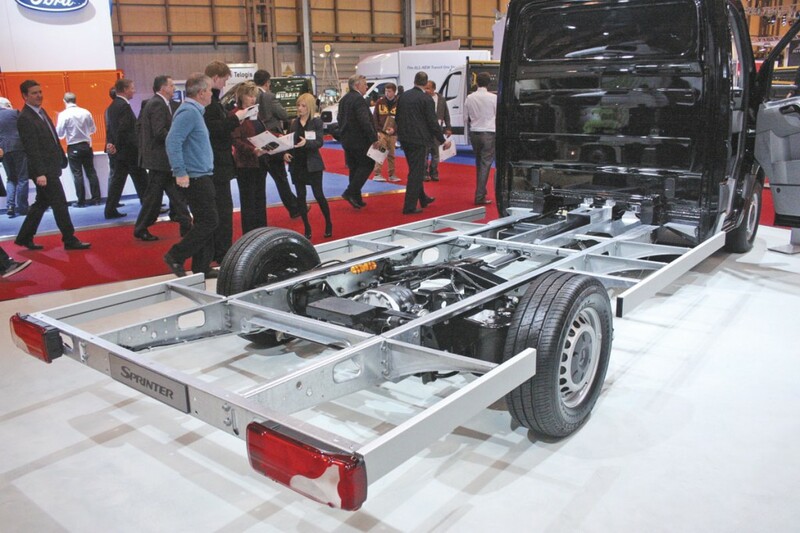 Also of interest is the option of trailer swing assist which is available for vehicles fitted with towing hooks and which prevents adverse trailer movements. It’s useful if you regularly tow luggage trailers. The new Masters with the Energy engines also feature electric power steering giving easier control at low speeds. Normally releases of new products by this group (Fiat, Citroen, Peugeot) are spearheaded by Fiat but it seems this time Citroen have stolen a march because they have introduced the new Relay in right hand drive form ahead of any of the left hand drive versions being announced. The new styling is not just cosmetic because beneath it the complete body structure of the Relay has been revised to increase rigidity and durability and reduce noise, while at the same time increasing usable interior space. Body doors, whether hinge opening or sliding, have been reinforced and that also includes both hinges and sliding runners. Locks have also been modified to produce increased durability and security. New versions of the HDi engine produce more power, 15% better fuel economy and lower emissions The 2.2-litre unit is available with power outputs of 110, 130 and 150 bhp producing torque values of 250, 320 and 350 Nm respectively. Nothing new from Mercedes-Benz this year but tucked away on their huge stand I discovered a rarely promoted version of the Sprinter. This is the low frame version of the chassis cab. The chassis is lowered by 205mm and the vehicle has independent rear suspension and a 174mm wider track. Sadly it is only available in the three and four tonne versions using single rear wheels or in the case of the four tonnes version super singles can be used. I’m surprised it isn’t more widely used in the manufacture of small minibuses. Shame there isn’t a five tonne version. 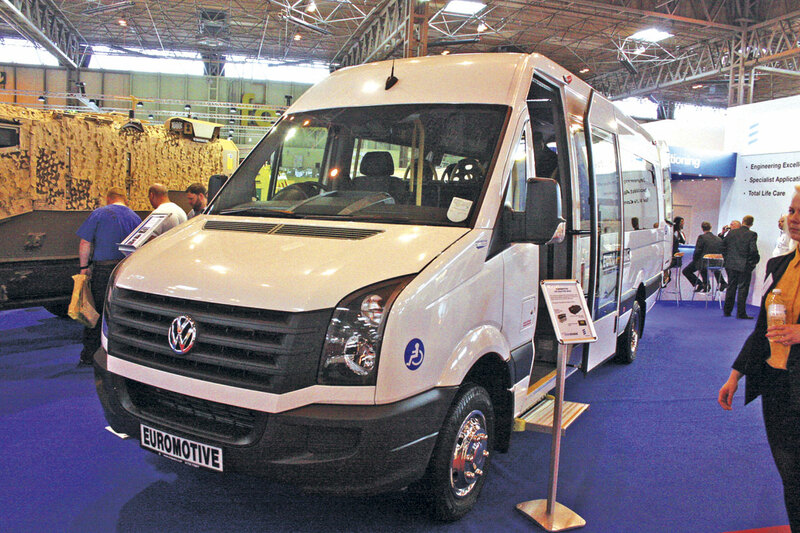 Over the recent years the CV Show has become a focal point for manufacturers of coachbuilt and van conversion minibuses and coaches and this year there were more than ever. Much of this is thanks to Eberspacher and Webasto who open up their stands to manufacturers so long as their exhibits have their heating, air conditioning or other systems fitted. Two builders also had their own stands at the Show, Trekabus and GM Coachworks. It’s not the first time for Trekabus but I think it is for GM Coachworks. Talk at the Show was still about the toughness of the market although most felt it was improving, though protracted tender timescales are not helping. Inevitably there was much talk of Vario replacement but no-one present had come up with an alternative if you exclude Nu-Track’s Wrightbus StreetLite prototype. Favoured routes still seem to be Mercedes-Benz Atego, MAN’s small truck range and the Iveco Daily. 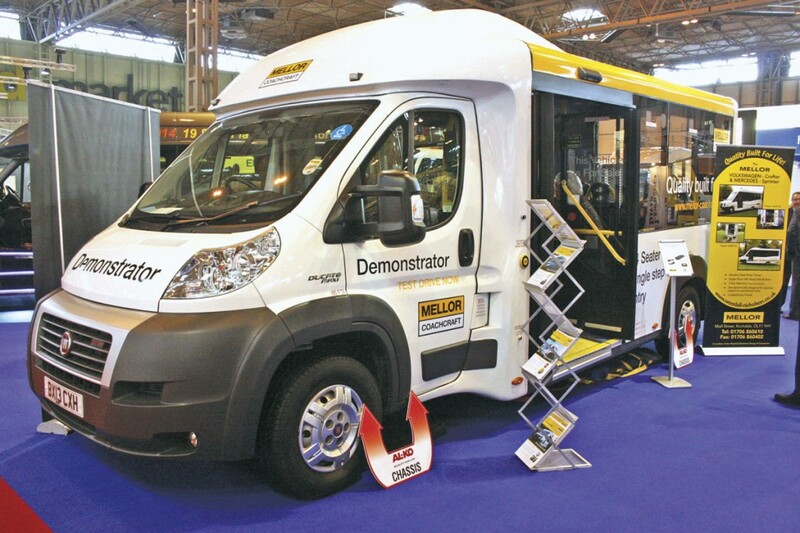 Mellor showed an example of their low floored accessible coachbuilt minibus, which is mounted on an AL-KO low line chassis attached to a Fiat Ducato Maxi front wheel drive, front end. The vehicle had tracked seating for 14 or alternatively can carry up to three wheelchairs. Wheelchairs are loaded at the rear using an in-board mounted ramp. Geoff Hudson of Mellor told me that they were beginning to reap some real benefits across the Woodall-Nicholson Group following its take-over by an investment group spearheaded by the redoubtable Brian Davidson of Plaxton re-organisation fame. Geoff told me that the company was engaged in a wholesale modification of its production processes across the range. Major changes are being made to the layout at both their Rochdale and West Houghton production sites which will result in faster build times and greater efficiencies. He also told me that they had recently carried out an interesting diversification producing a mobile library on a DAF truck chassis for Shropshire Council. It was a challenging brief because the vehicle had to be kept below 7.5 tonnes GVW to meet the required driving licence flexibility, had to retain the tilting cab mechanism of the DAF truck for service reasons and yet still provide through access from the cab into the interior of the mobile library. Both Geoff and the customer are very pleased with the result and Geoff believes it will bring them additional business. 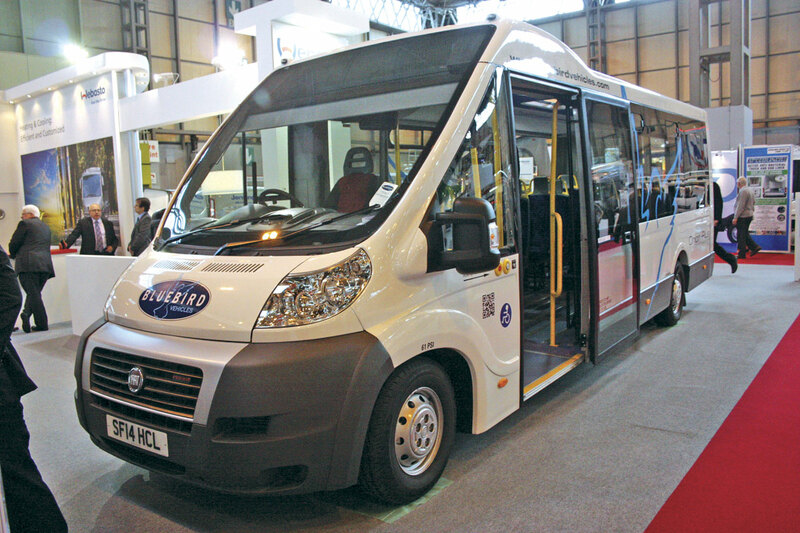 Geoff said they had not yet decided which route to go for the Vario replacement, an important market for them – many of the accessible Varios at work in London came from Mellor. Although he didn’t feel the Atego was the perfect answer to the problem he felt that was at the moment the likely route. Enterprising as ever, Stanford managed to have an exhibit on two stands. 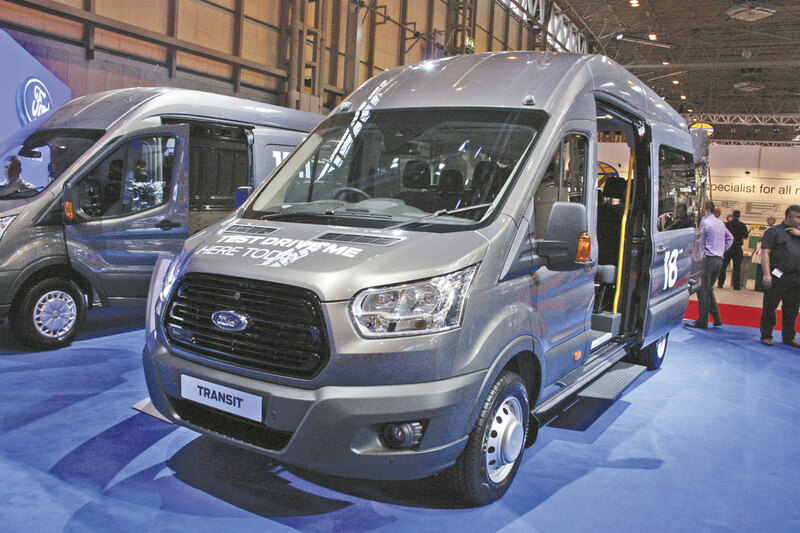 One was a new sensory version of the five tonne Sprinter for London Hire. Stanford developed the sensory bus concept with London Hire some years ago and have built many vehicles to this specification for them. They are designed with features that keep disabled and special needs passengers calm. The exhibit was fully tracked and able to seat 19 or alternatively seat three plus six wheelchairs. The vehicle was to Stanford’s high standards with fold out, hand railed entrance step and a PLS rear underfloor cassette lift. Their other vehicle was again for a regular customer, Burnt Tree Access-a-bus. The unit was a VW Crafter CR50 to their normal specification with fold out entrance step and rear underfloor mounted PLS tail lift. It had tracked seating for 15 or alternatively one seated and five wheelchairs. 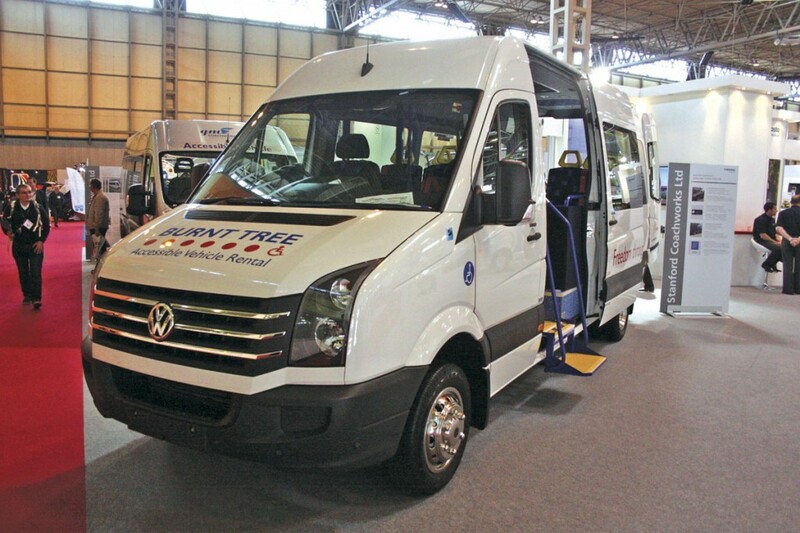 Euromotive exhibited another well manufactured VW Crafter with tracked seating for 16 or alternatively one seated and six wheelchairs. It featured an AVS extra step at the side entrance and a Ratcliff-Palfinger rear underfloor cassette lift. Easily the most luxurious vehicle of those on display was an example of EVM’s X’Clusive2. It was a Sprinter 519 for regular customer Everydays Travel of London. They always specify their vehicles highly and this one was no exception with all manner of gizmos and electronics. These included twin TV monitors, USB and mains power sockets, Wi-Fi, a Pioneer interactive multimedia system and an inverter package located in the commodious boot. The driver also benefited from parking sensors front and rear plus a reversing camera, blind spot assist, collision protection, Xenon headlamps with wash facility and an eight camera CCTV system. 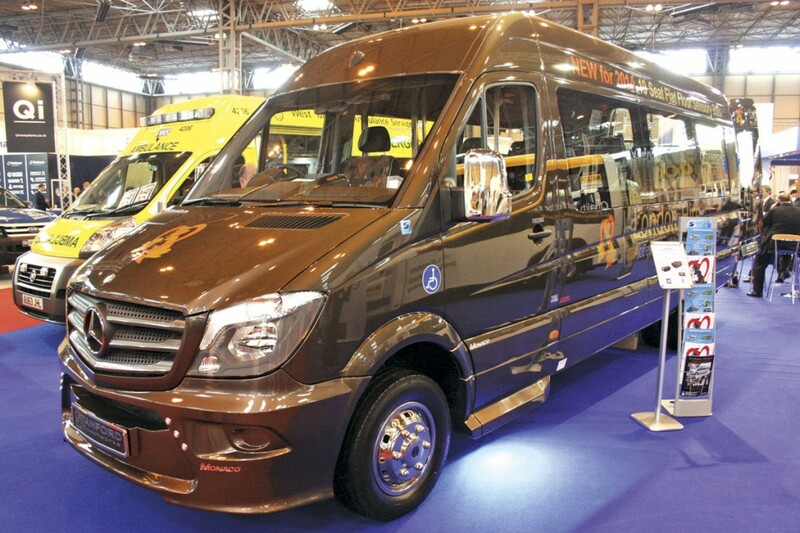 Sales Director, Danny Magee, told me that they were now very close to introducing the flat floored directly accessible Sprinter which they showed in prototype form at last year’s Coach and Bus Live. An extensive test programme has now been completed and they plan to begin production shortly. Bluebird displayed an Orion Plus, actually their demonstrator. The Orion Plus can seat up to 22 passengers and can be built either with direct wheelchair access through the large side entrance or via a ramp through rear the doors. Talking to MD, Rob Miller, he said they, like many other builders, are frustrated with the long time it is now taking for the tendering process to result in firm orders. This makes it difficult to plan forward production which is a double whammy because once the contract is placed the customer expects the vehicles quickly. The new Pegasus project which will launch Bluebird into the 30-seat sector is progressing well, though not as fast as Rob and the team would like. 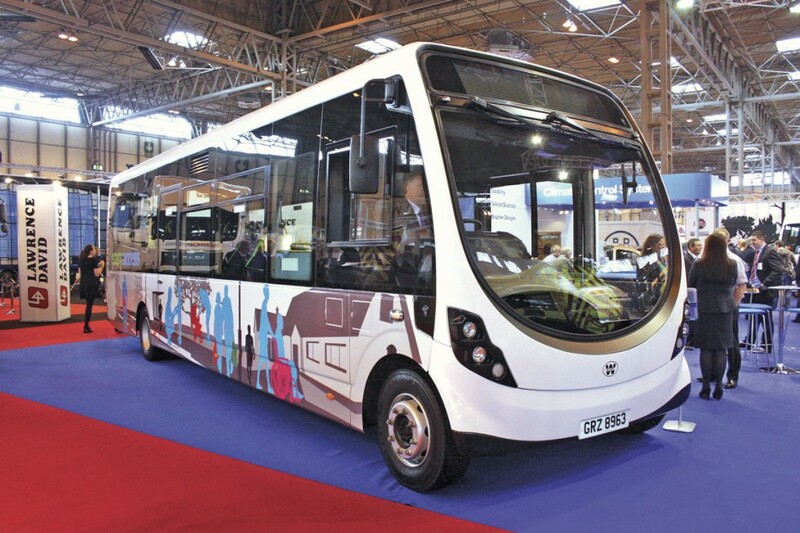 Nu-Track showed their prototype directly accessible minibus developed from the Wrightbus StreetLite. 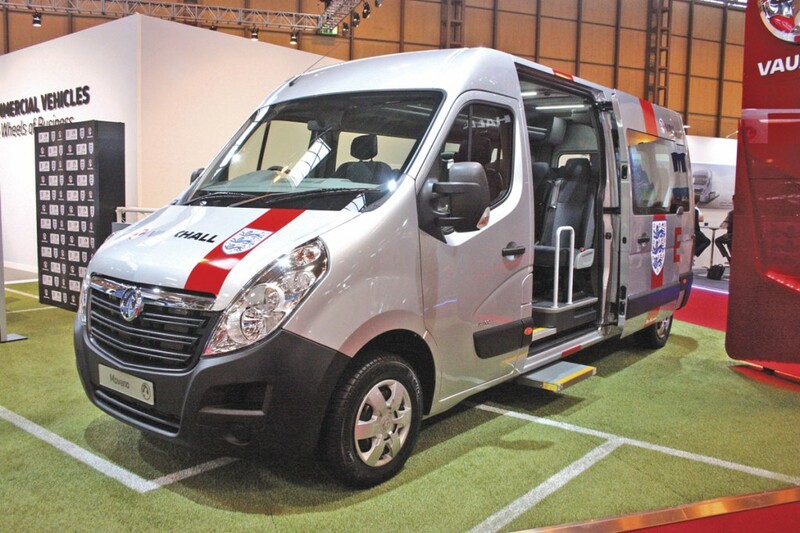 The vehicle has been on an extensive demonstration tour of London and the South East to test the market. Results have been very positive and a number of variants of the design are now under development. I have to mention Peter and the rest of the Doncaster team even though their exhibit was not strictly a PSV. It was a very nicely conceived and built small ‘camper van’ based on a Mercedes-Benz and a great demonstration of the skills of this enterprising company. 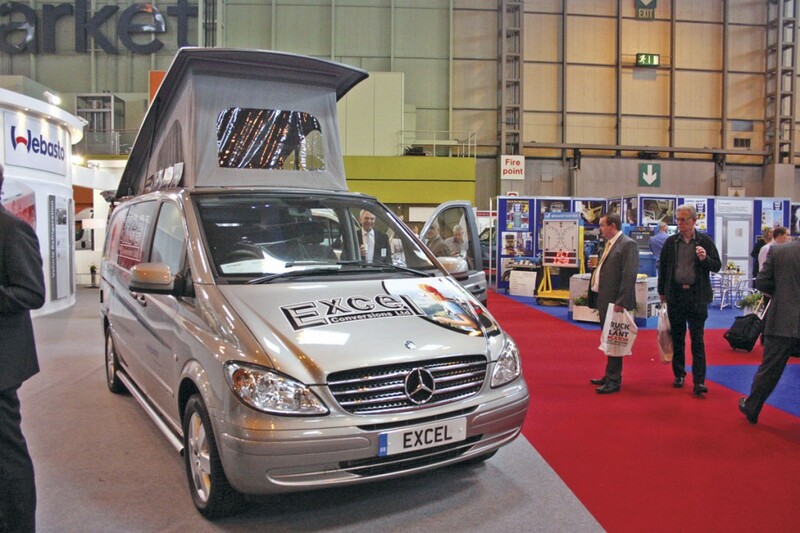 Something different from minibus conversion specialist Excel Conversions, a Mercedes-Benz Vito camper! O&H are celebrating their 25th anniversary this year. Prolific producers of minibuses, especially for the health sector, O&H showed a small Sprinter developed especially for a health client. It had five fixed seats plus a tip and fold seat in the wheelchair bay. Space also had to be provided for client’s special equipment which gave a somewhat unusual internal layout. Of particular interest on this vehicle was its PLS underfloor cassette tail lift. This is mounted so that part of the lift projects beyond the rear of the vehicle and has a flat step fitted on the top to allow easier access to the vehicle and comply with the latest legislation. What was particularly interesting about this version was that it had a second step which can be folded down to make another step and entrance even easier. Called a Double Bumper, Mike Pitt of PLS told me that they had developed it for the Post Office for use on mobile Post Offices to give customers easier entry to the vehicle. GM had a vehicle on the Webasto stand as well as one on their own stand. The one on the Webasto stand was an example of their popular value for money conversions of the Peugeot Boxer. It featured their own fold out entrance step arrangement with handrails, seating for 13 or five plus two wheelchairs and was fitted with a Braun In-board mounted lift at the rear. The vehicle on their own stand was a very nice conversion of a Vauxhall Movano. It had an extra AVS step at the side entrance and seating for 14. 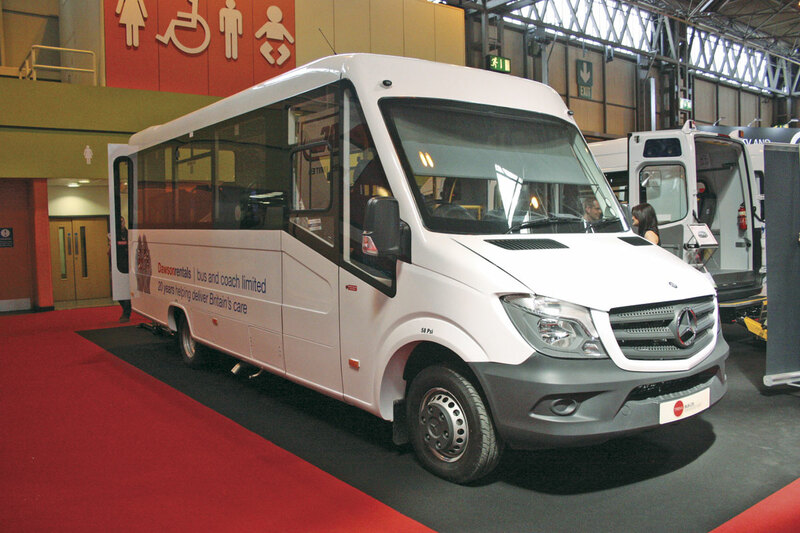 Being in a different hall to all the other exhibits meant that the last stand visited was Trekabus who produce both coachbuilt and van conversion accessible mini-buses, predominantly on the Mercedes-Benz five-tonne Sprinter. Mark Clissett, Trekabus’s owner and MD, told me that things were going well with sales of both coachbuilt and van conversions running at a good level. 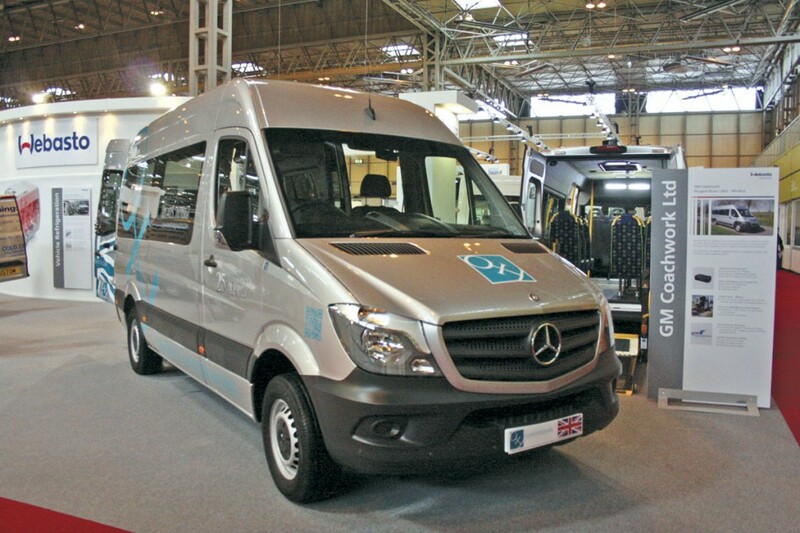 Examples of both the Treka 16 coachbuilt Sprinter with powered entrance door, fold out entrance step, tracked Phoenix seating for 16, air conditioning and PLS rear cassette tail lift to Dawsonrentals specification and a similarly specified Sprinter van conversion were on display. Of interest on the coachbuilt model was a plug in system for the electrics that operate the PLS Door Safe. This is the barrier device which can be fitted at the rear of high floor accessible minibuses to prevent people inside the vehicle falling out when the rear doors are open and the tail lift has been lowered. The new plug in systems mean that the Door Safe does not have to be permanently fixed to the vehicle, it can instead be located in the tracking and plugged into the vehicle’s electrical system. This means that the Door Safe can be easily removed, for example when the space is needed to run the vehicle as a full 16 seater. Trekabus now offer a seven year warranty on their conversion packages. Trekabus models are particularly popular with the vehicle hire companies and I was pleased to hear that London Hire, at one time a major Trekabus customer but who haven’t bought from the manufacturer for some time, had returned to the fold. I met up with my long-time friend and fellow septuagenarian, Ken Goodson, who though, like me semi-retired, continues to act as Consultant to Trekabus for whom he was Sales Director for many, many years. As ever at these shows seeing the vehicles and developments is only part of it. Equally important is renewing acquaintances with industry colleagues and friends and finding out what’s developing. The industry appears to be coping well with the difficulties of the economic upheaval of the last few years and there are some exciting developments in the pipe-line.